As a first-time driver, a novice, an adult seeking re-training or refinement of technical skills and knowledge, or if you’re seeking to rehabilitate those fine motor-skills after a significant physical injury, taking Class 5/7 Driver Training lessons is the best way to make sure you are on the right road to being a safe, skillful driver. 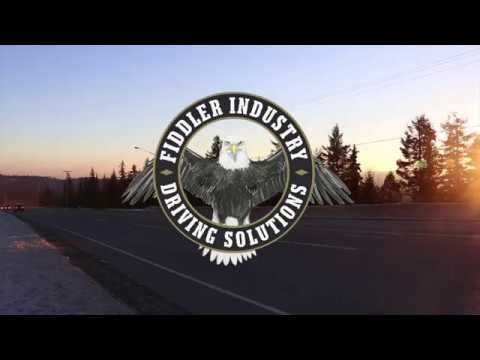 At Fiddler Industry Driving, we pride ourselves in our dedicated base of highly trained professional instructors that are prepared to teach you what you need, regardless what weather, terrain, or traffic might pose a threat while you’re in the driver seat. Furthermore, every driving lesson is custom-tailored for each individual student. The skills you will learn here will certainly teach you to pass that road test, or get that defensive driving certificate you need for your job, but more than that – we can teach you how to keep driving safely, confidently, and skillfully every time you sit behind the wheel. All Driver Training Packages of 2 or more lessons are eligible to use one of their lessons for the warm-up prior to a road test & use of vehicle for road test for an additional $45.00 charge. All Driver Training Packages are available in 1.5 hour training sessions as well @ 1.5 x PPL (price per lesson) rate for their Package. All Driver Training Packages are eligible for our customized payment plans to suit your needs and budget. Contact us today to qualify for an individualized payment plan to enable you to fulfill your Driver Training needs now!